The big day is finally here! Titanfall just got out of beta into a full launch and everybody is excited to play the game. 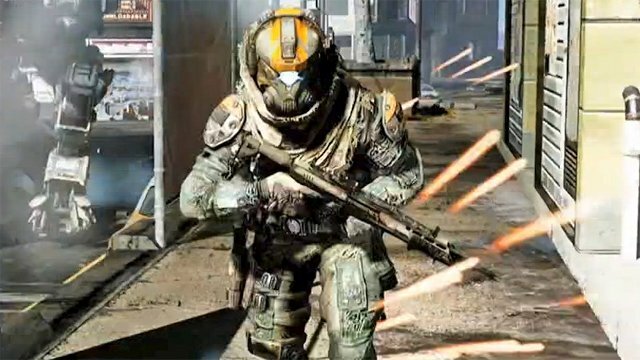 However, not all the players who want to do it are lucky enough to actually enjoy the game as Titanfall crashes or is plagued by graphical problems and more. We are here to help you fix these problems, so if you have any kind of trouble with the game, read on and hopefully you’ll be able to fix it. Before we get to the actual “how to fix Titanfall crashes and graphical problems” thing, let’s talk about an issue that is troubling new players: Titanfall getting stuck at “initializing” screen. There are many players who report that their game gets stuck at “initializing” and unfortunately there’s no real way to fix that. Have in mind that the game has just been launched, the number of players who want to get it in huge and the servers might lag a little bit. Give it some time, try to reconnect and you will eventually get in. Also, we are sure that in a couple of days everything will run as smooth as possible, so don’t lose hope! Now let’s talk about the Titanfall graphical problems, as many people are complaining about screen tearing, low frame rate and other visual glitches. Most of the problems reported are related to the SLI technology for nVidia users. There’s a quick fix for that: go to your nVidia control panel and under the 3D application options for Titanfall look for the SLI option and choose “Single GPU”. Problem solved! AMD users are not free of problems either and most of the graphical problems in Titanfall are related to CrossfireX. In this case, either play in windowed mode or simply disable CrossfireX to get your game running. If you’re trying to play the game without a dedicated graphics card, you will not be able to run the game without a heap of problems. Maybe it’s time to invest in something a little better – search for “cheap gaming laptops” on Amazon (click here for the search) for example and pick up a model that’s as recent as possible with a dedicated graphics card to fully enjoy the game. Or at least get more from it. There are still many people who complain about other Titanfall graphical problems, such as low frame rate, stuttering or strange lines appearing on their screen. If none of the suggestions above are for you, simply try to tune down the visual settings of the game. Disabling anti aliasing altogether would be a good idea, such as would be the idea of disabling vSync. Generally, don’t go for the insane settings unless your rig can really handle it. Unfortunately, there is not much info that we have to share right now with you. Just as with the solutions posted above, most of the crashes and black screen issues are gone if you disable Crossfire or SLI. Also, running the game in Windowed mode does wonders to its stability, so you should definitely try it out. We are also sure that the graphic card developers are working hard to release the full drivers for Titanfall, which should increase the game’s stability, so keep an eye on them and make sure that you download the latest drivers for your graphic cards. Do you run into any problems when playing Titanfall? And most important – did you manage to find any fix that works? Let us know by commenting below!